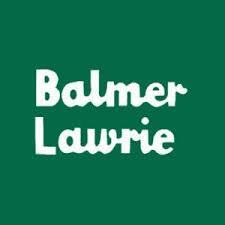 Hello friends, we have good news for all those candidates who are looking for the job in Balmer Lawrie & Co. Limited. Now, here in this article, we are going to share all the details related to the Balmer Lawrie Notification 2018 in the below description of this article. Interested and skilled applicants must read this given article with proper attention and take all the information from here. Aspirants may apply for this recruitment from the official website of the department that is www.balmerlawrie.com. For getting additional detailed information then applicants can check our careerjobs360 website and get all the latest update from here and stay connected with us for further reference. The Balmer Lawrie and Corporation Limited have published the official announcement for the Balmer Lawrie Recruitment 2018. There are total 06 Vacancies available in the department. The names of the vacant positions available in the department are Assistant Manager (Sales) Posts. The department is looking for the talented and skilled applicants for the vacant posts. The candidates can apply for the vacancy by submitting the Balmer Lawrie Assistant Manager Application form 2018 through the online mode from the official website of the organization. The interested and skilled candidates can apply for the recruitment on or before the last date that is 29th September 2018. The essential details regarding the job process like Educational Qualification, Age Limitation, Age Relaxation, Application Fees, Selection Procedure, Salary Scale and the steps to apply online are given below. The candidates must go through this information before applying for the recruitment. The interested and skilled applicants must satisfy the below-mentioned Eligibility Criteria to apply for the Balmer Lawrie Recruitment 2018. Age Limitation: Candidates age limit should not be more than 30 years. Age Relaxation: The relaxation in age will be given only to reserved category contestants as per the rules of the government. Application Fees: refer to official notification of the recruitment. Selection Procedure: The contestants will be selected on the basis of their performance in the following rounds. Pay Scale: The finally selected contestants will get a healthy amount of monthly salary as per the posts they are recruited in. For more extra details, candidates can check the official notification. Candidates, who are going to apply for the Balmer Lawrie Assistant Manager (Sales) Vacancy 2018 Notification through online mode from the official website of the organization, Candidates must keep in mind the closing date to apply for the Balmer Lawrie Assistant Manager Recruitment 2018. Here, we have mentioned some simple steps for your help. These give some simple steps will help you to apply online for Balmer Lawrie Recruitment 2018 easily. Firstly, candidates need to go to the official website of Balmer Lawrie and Corporation Limited that is www.balmerlawrie.com. Now, find out the Balmer Lawrie Assistant Manager (Sales) Recruitment 2018 Notification link on the homepage. Then click on the link and open it on the next page. After that, read all the instructions from the official notification for eligibility criteria. If interested and eligible, then candidates can fill the application form with all the required information. Attach the needed documents with the application form. Then, Hit the submit tab button and submit all the details. In this article, we mentioned all the details related to Balmer Lawrie and Corporation Limited Recruitment 2018 in the above description of this article. All the interested and skilled candidates must read this article and then apply for this recruitment. If any of the aspirants face any kind of problem while applying online for the given vacancy then they can leave a comment in the below query box, after we will solve your problem as early as possible.